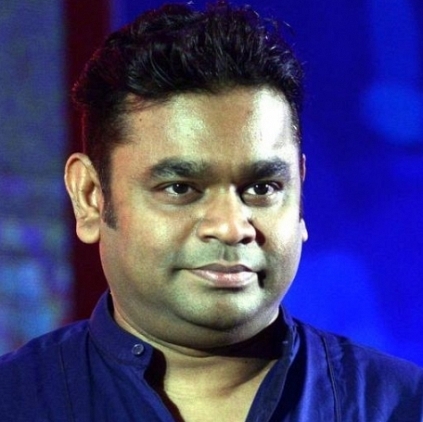 Music composer AR Rahman has scored for the famous Iranian film maker Majid Majidi’s film Muhammad: Messenger of God. The film is the first of a planned trilogy on the life of Prophet Muhammad. Noori from Mumbai based Raza Academy had objected to the film, issued a fatwa against Rahman and Majidi and also had sought a ban on the film. According to reports the Raza Academy is reported to have said, “It is nothing short of a crime to make a film on the Prophet, dramatizing his life and using non-Muslim actors... Making such a film is making a mockery of religion". "This letter is for all those people who have been aware of the recent events concerning me. I am not a scholar of Islam. I follow the middle path and am part traditionalist and part rationalist. I live in the Western and Eastern worlds and try to love all people for what they are without judging them. I didn’t direct or produce the movie “Muhammad (PBUH), Messenger of God”, I just did the music. My spiritual experiences of working on the film are very personal and I would prefer not to share these. Mr. Noori, a member of the Raza Academy has said in an interview featured in “The Bayside Journal” why he believes it is important to voice a complaint. Today there is a blur between the real world and the virtual world and I have been taken aback to see that for some years now, unethical, unacceptable and unkind remarks are made online concerning the Holy Prophet. These abhorrent comments are no doubt due to a lack of understanding. I have always felt that we must counter this reaction with love and kindness and through the audio visual media reach out to people who wish to broaden their understanding. We are indeed fortunate and blessed to live in a country like India where religious freedom is practiced and where the aim of all communities is to live in peace and harmony sans confusion and violence. Let us set a precedent in clearing conflict with grace and dignity and not trigger violence in words or actions. Let us pray for forgiveness and from our hearts bless those who suffer in the world and bless the country that we live in. To so pray is to reflect the noble and enlightened nature of our Beloved Muhammad (PBUH)". What is happening to Karthi's Kashmora? Samantha and Rana, it is? Ajith to come ahead of Kamal Haasan? People looking for online information on A R Rahman, A R Rahmans fatwa, Majid Majidi, Muhammad Messenger of God will find this news story useful.